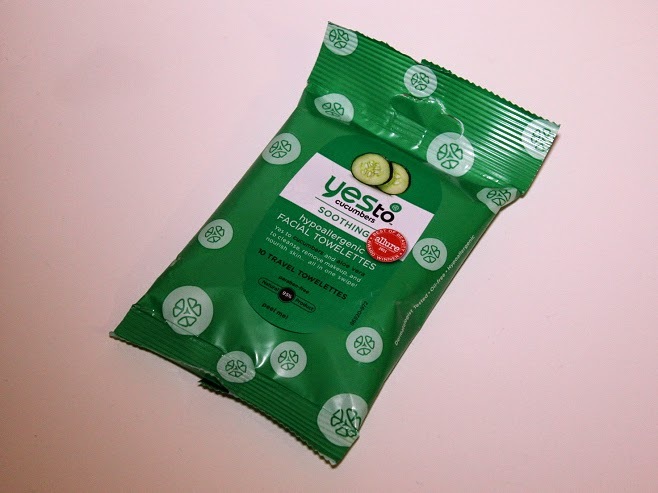 I was quite happy to see the Yes to Cucumbers Soothing Hypoallergenic Facial Towelettes in a recent BirchBox as I like to have some handy face wipes in my stash for super quick makeup removal. I don't use them to cleanse all of the time, it's a rare occasion but they can be useful when you don't have a lot of time or are really quite drunk! I HATE eating cucumbers, they actually disgust me but I was willing to overlook this on the promise of soothing face wipes. They sounded lovely and gentle, especially with the addition of aloe vera as well as the cucumber. They are also 95% natural. Even better! When I first pulled one out of the packet I was impressed. They are thick, wet face wipes that are a decent size. I hate face wipes that aren't moist enough but these seemed to have the perfect level of moisture for removing makeup from the whole face. I then wiped the towelette all over my face including the eye area. Wow, nice and cooling, brilliant. Until a few seconds later when my face started stinging and burning! I took a look in the mirror and my face had gone all red too. My eyes were stinging. It really wasn't a pleasant experience! I doused my face in cold water and applied an argan oil product to help soothe my face. Luckily I did this at night time so by the time I woke up the next day I was fine but you really wouldn't think these were marketed as a soothing product. 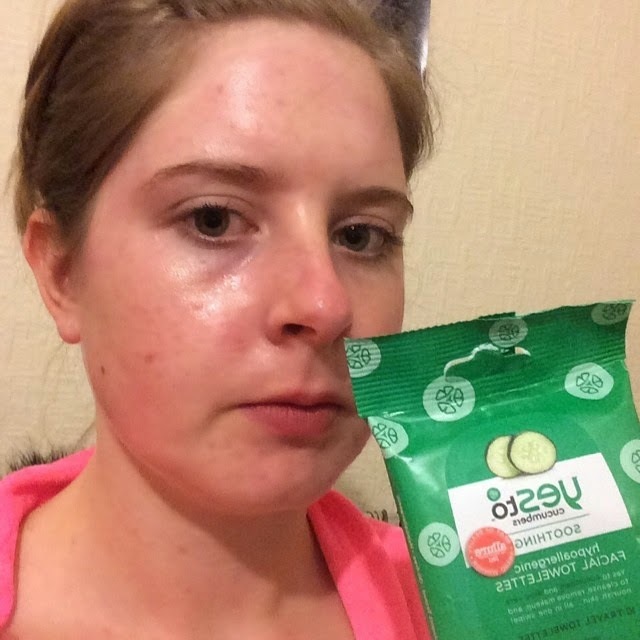 I uploaded the photo above to Instagram/Twitter/Facebook to let my followers know about my results and several people commented saying they (or someone they knew) had experienced the same reaction! Plus it wasn't just with the cucumber variety, it was with the other kinds too. So as you might have already guessed, I really don't recommend these, unless you enjoy burning your face off of course ;) It's such a shame as I had high hopes for the 'Yes to' ranges. I'd love to hear about your experiences with these wipes. Perhaps you've actually had a good experience or have you had a reaction too? Eek, what a shame - they sounded so promising!! The exact same thing happen to me! The whole reason I picked them up in Boots is because they are for sensitive skin! Extremely disappointed!